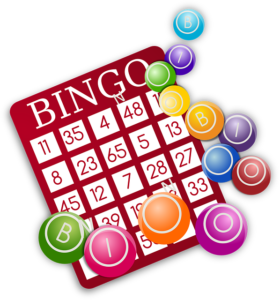 All events for BINGO Fun Night! Cover-All Game $100 Jackpot! BINGO! Final game of the evening (Cover-All) Jackpot INCREASED to $100! Doors open at 5 p.m. and gaming starts promptly at 6:15 p.m. $18 gets you 32 chances to win! 2nd Wednesday of each month, April through November. Must be 18 years old or older to play. BRING A FRIEND!